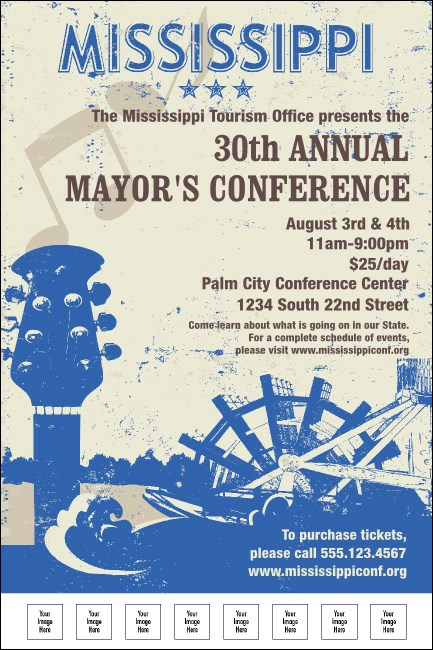 From Jackson to Biloxi spread the news of your concert, fundraiser, or sporting event with the Mississippi Poster. Printed in blue and tan and commemorating both the musical culture and the river's place in the state's history, each poster has eight spaces for your own images. From state to state, TicketPrinting.com has an Event Kit to fit your needs.